It's time for another Fabulous Find at My Dream Canvas! 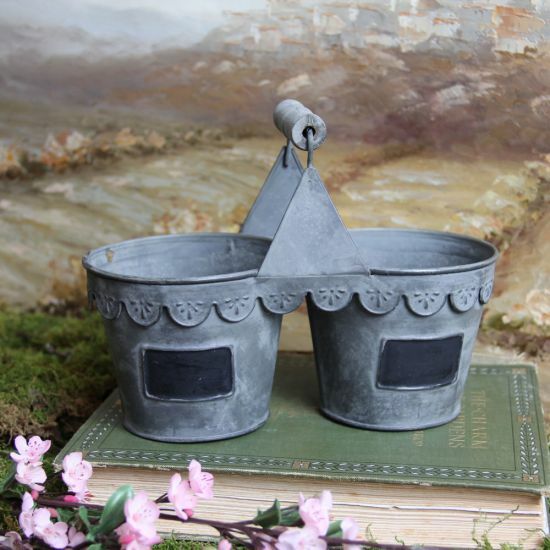 I am very fond of things that have a vintage feel with a distressed look Combine it with functionality and beauty and it is even more appealing :-) I really like this fun tin tote with the pretty scalloped edges and chalkboard labels from Timeless Settings. Very cute, I want to fill it with fresh herbs!